Make your way on 26 May 2018 for the launch party of this new adults-only boutique hotel. Get out your Panama hat and dust down your 1950s Chevy for the launch of the Cubanito Ibiza Suites this Saturday 26 May, the brand new adults-only boutique hotel in Cala Gracio that's just outside San Antonio. 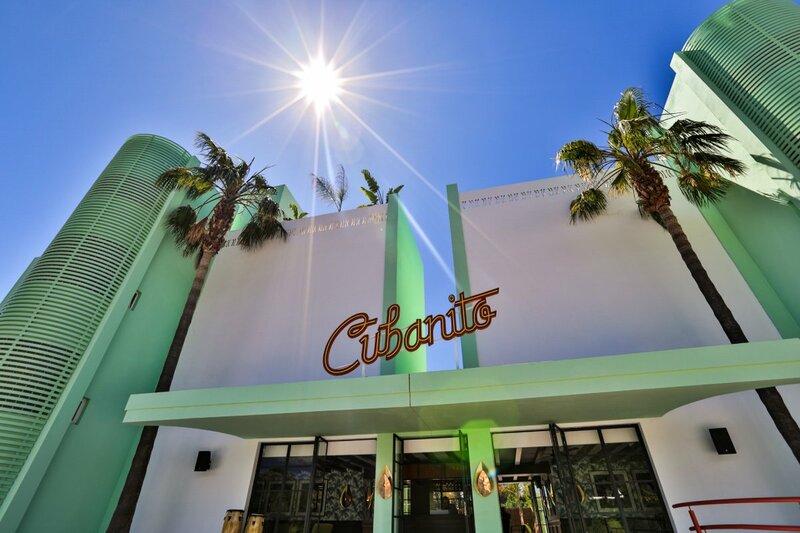 Expect an entire evening of fun and Latin rhythms from 19:00 staffed by ‘Cubanito' girls with a torcedora making hand-rolled cigars, Cuban style. If you want to get in the mood, wear your Mambo Kings' style hats, white blazer, colourful dress and adorn yourselves with some big earings. A DJ line-up includes former Los Fabulosos star Silvia Superstar, Nestor, Marcos Torres and Jordi Cardona. Live music bringing some “sabrosón” sounds will be your cool soundtrack for the evening from Ricardito y La Banda so you can sway those hips. The new hotel will bring the spirit and customs of Cuba and the Caribbean to the Mediterranean, with music, sun and fun being the binding island to island link. The hotel lobby features and homage to the Buena Vista Social Club, where guests are greeted by the songs of this legendary place. With this new launch Concept Hotel Group brings a brand new original concept to the island styled throughout taking design cues from the buzzing Little Havana area of Miami. See more of the essence of Cuba with the hotel's tropical garden, a pool with hammocks in the water and see the amazing sunset from the gorgeous rooftop bar, the "Malecon", named after Havana's famous seafront walkway. So, if you want to make some Mambo moves, or just a have a Boogaloo boogie, make your way to the Cubanito Ibiza Suites this Saturday!